Have you felt despair about the teen experience and the state of our schools today? Do you wish you knew tools that help teens flower and access their innate curiosity and wisdom? Are you ready to learn time-honored techniques that open the heart and make space for the good, the bad, and the uncertain? 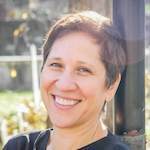 In this workshop, Amy Edelstein will take you into the wisdom of her new release The Conscious Classroom. You will learn about a system that has been empowering 4000 teens in the inner city of Philadelphia to calm, focus, connect, and access their deeper intelligence and trust in life. Today’s teens face many challenges. Some are familiar. We may remember the tumult of adolescence. But other challenges are new. Our digitized, globalized world creates pressures for kids that were non-existent even a few short decades ago. Out-dated school systems find it hard to keep pace with the times. They don’t have the flexibility to prepare students for a workforce that is rapidly changing. They don’t have time to support kids consumed by anxiety or the memory of trauma. Teachers find themselves faced with classroom challenges they have little training for and even less time to respond to. Sadly, our kids are experiencing rates of depression and anxiety, stress and trauma that are rising at an alarming pace. But this workshop is not about problems. This evening is about solutions. Solutions that have been tested, measured, and demonstrated in the experience of high school students. 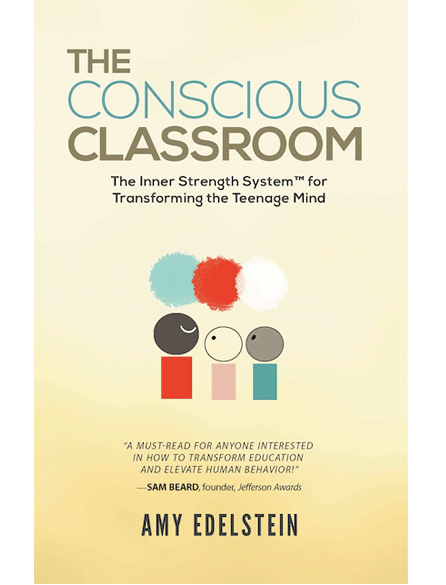 The Conscious Classroom is an approach, perspective, and program that helps us work with reality as it is and improve It is about low-cost, high-impact tools that have already been making a real difference among 4000 high school students in Philadelphia. When youth light up with the discovery that they can dial back negative emotions, that they can hack fear and go beyond self-imposed limitations, a rush of energy is released that can’t be put back in the bottle. This energy is the passion of youth and the thirst for life. In some teens it is a quiet knowing. In others it’s a shy smile of self-achievement. And for others it is a vulnerability that is as strong as it is soft. As confident as it is loving. When we as parents, educators, or mentors witness this transformation, we feel uplifted. We feel that the future is bright. The Inner Strength System™ empowers teens with the lifelong skills of mindfulness and systemic thinking. As teens learn to calm and focus they are more able to stay on track to realize their academic and personal goals. As they learn how to see their experience in light of the large-scale forces that influence them from within and without – from 300 million years of brain development to 50,000 years of cultural conditioning – they become fascinated, rather than overwhelmed, by their experience. In this live training you will learn some tools that you can practice with your own teens or begin to incorporate into work you already do as a parent, teacher, employer, or guide. Be inspired by the real life successes and stories of teens. Learn foundational mindfulness tools you can use with your teens & for your own stress-relief. Discover the science behind why educating for well-being leads to better academic outcomes and better brain health. Practice exercises that cultivate Love & Kindness. That’s why we make the webinar available to all web purchasers to watch again and work with in your own time zone. *The special section “Practicing the Tools” is designed as a resource that you can use over and over again to really learn how to work with the tools of mindfulness and systemic thinking with the teens you know. In person at Sunset Labs | Victoria, BC | Canada. Print books signed at Sunset Labs. All kindle books will ship April 11th. * The in-person event includes a PAYC (Pay As You Can) sliding scale option to support students & economically challenged to have access to these tools.